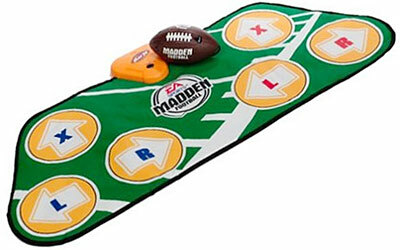 Play TV EA Madden Football is the first interactive football game. The two player step pad and wireless motion sensitive football plug directly into your TV. Features the running commentary of John Madden, just like Monday Night Football. Game features seven on seven action including running plays, fumbles, and interceptions.